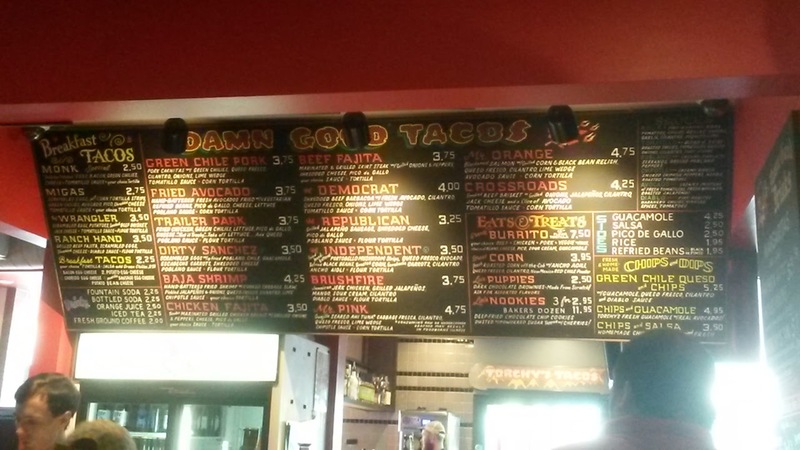 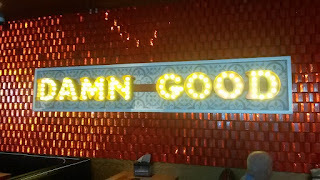 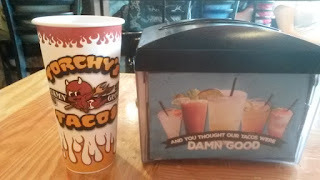 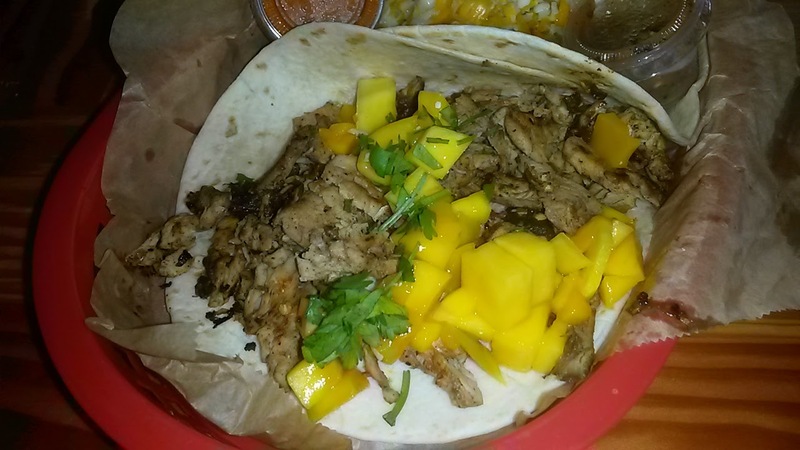 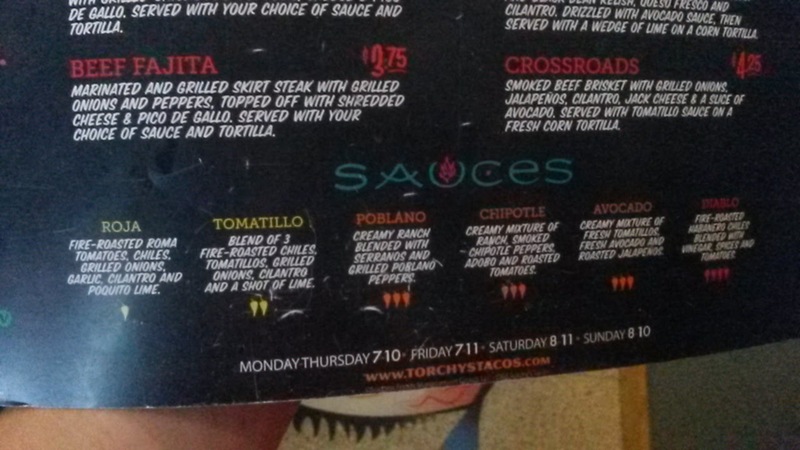 Torchy's Tacos has several locations in Texas and Colorado. 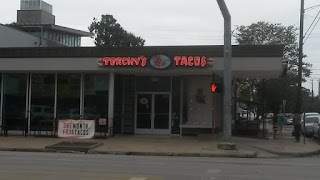 This blog post covers the Houston Heights location on W 19th Street in Houston, Texas. Thanks to a tip from Melvin and Elle, two friends I made while in Texas, Torchy's has an array of tacos on their menu, plus other treats. 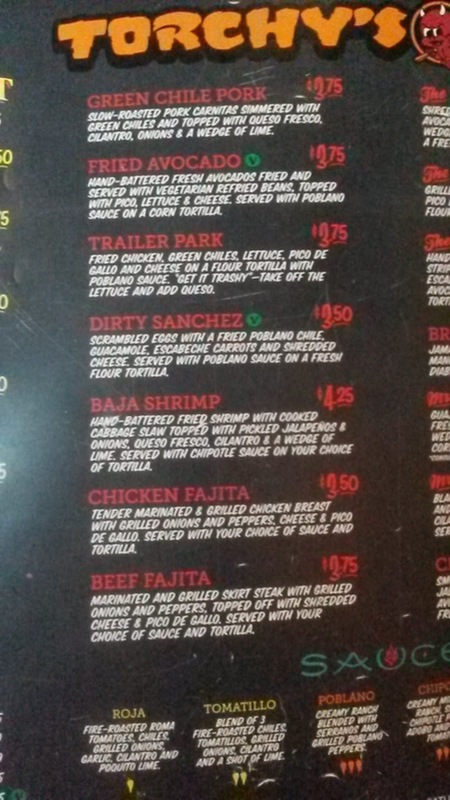 There's even a secret menu; just ask for it at the counter. 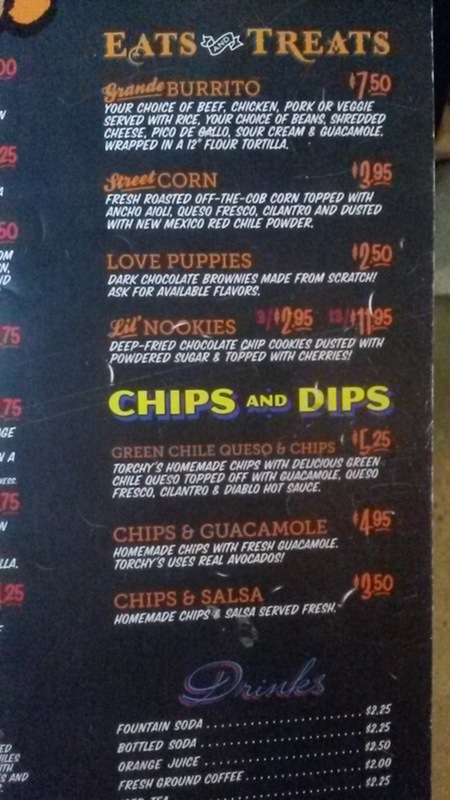 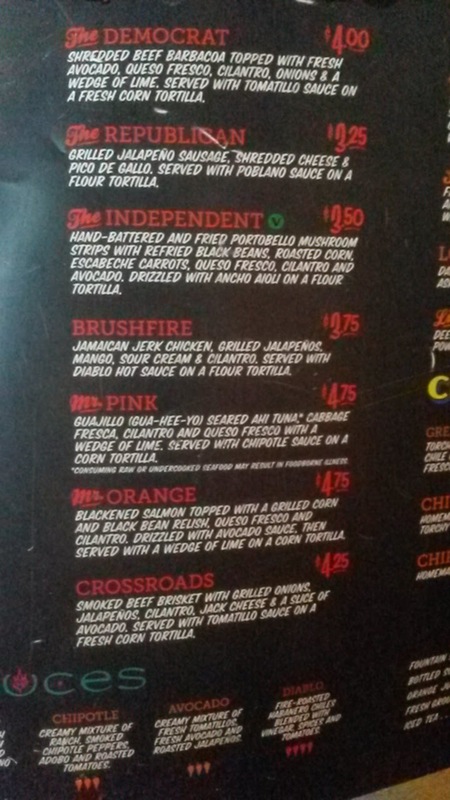 With so many tacos to choose from, I stuck with the regular menu this time. I wanted a breakfast taco while in Texas, so I got the #3 (chorizo, egg, and cheese; $2.25). 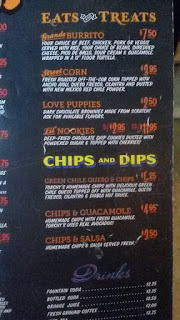 I added green chiles for 25 cents more. Breakfast tacos come with choice of corn of flour tortilla; I stuck with flour. A simple Tex-Mex idea, yet so good. 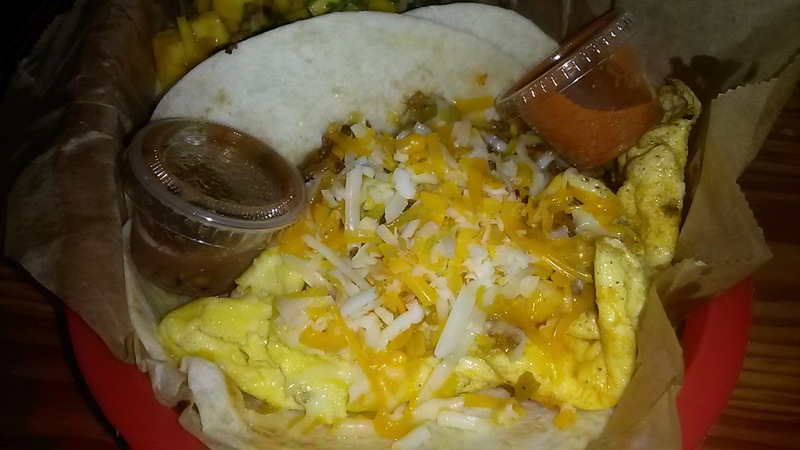 I wish breakfast tacos were more of a thing in the Pacific Northwest. 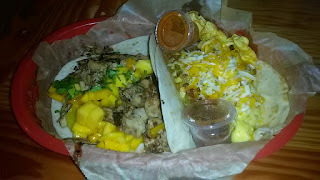 The Brushfire ($3.75) features Jamaican jerk chicken, grilled jalapenos, mango, sour cream, and cilantro on a flour tortilla, with Diablo sauce (their hottest sauce) on the side. 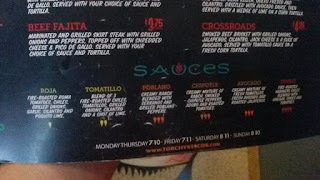 I 86'd the sour cream for my taco and enjoyed the flavorful heat straight up. 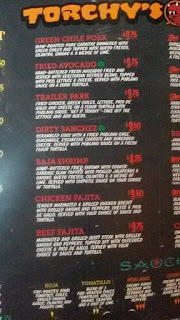 The jerk chicken was the star. It had some good kick and paired wonderfully with the mango and cilantro. 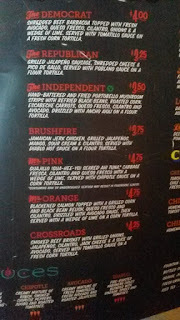 Torchy's also has Tacos of the Month specials. 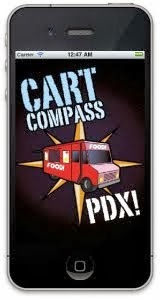 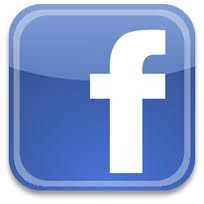 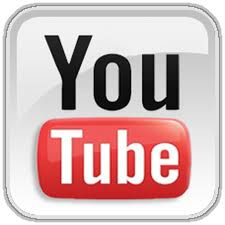 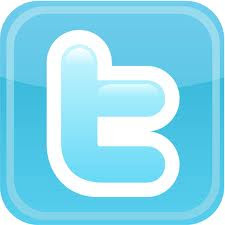 Check their website and social media for additional info. 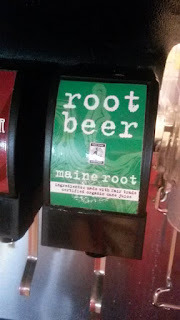 While the Houston Heights spot has a full bar, I wanted to try the root beer from Maine Root. 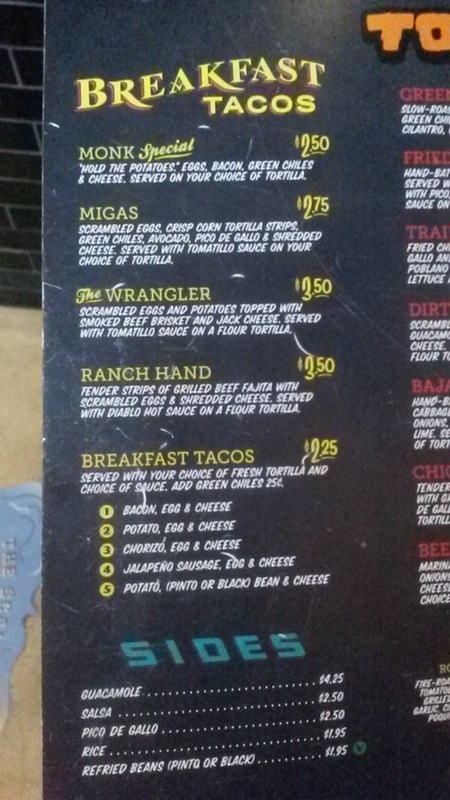 Pretty darn good, I must say.